As results of the project for several years, we revised a Journal paper based on the reviewers' comments including additional work. The paper was finally publised in FY2010 as follows. Abstract: Context-aware systems detect user's physical and social contexts based on sensor networks, and provide services that adapt to the user accordingly. Representing, detecting, and managing the contexts are important issues in contextaware systems. Composition of contexts is a useful method for these works, since it can detect a context by automatically composing small pieces of information to discover service. Danger-aware services are a kind of context-aware services which need description of relations between a user and his/her surrounding objects and between users. However when applying the existing composition methods to danger-aware services, they show the following shortcomings that (1) they have not provided an explicit method for representing composition of multi-user' contexts, (2) there is no flexible reasoning mechanism based on similarity of contexts, so that they can just provide services exactly following the predefined context reasoning rules. Therefore, in this paper, we propose a two-stage composition method based on context similarity to solve the above problems. The first stage is composition of the useful information to represent the context for a single user. The second stage is composition of multi-users' contexts to provide services by considering the relation of users. Finally the danger degree of the detected context is computed by using context similarity between the detected context and the predefined context. Context is dynamically represented based on two-stage composition rules and a Situation theory based Ontology, which combines the advantages of Ontology and Situation theory. We implement the system in an indoor ubiquitous environment, and evaluate the system through two experiments with the support of subjects. The experiment results show the method is effective, and the accuracy of danger detection is acceptable to a danger-aware system. As results of the project for several years, the paper was finally publised in FY2010 as follows. Abstract: With the progress of ubiquitous technology, ubiquitous learning presents new opportunities to learners. Situations of a learner can be grasped through analyzing the learner's actions collected by sensors, RF-IDs, or cameras in order to provide support at proper time, proper place, and proper situation. Training for acquiring skills and enhancing physical abilities through exercise and experience in the real world is an important domain in u-learning. A training program may last for several days and has one or more training units (exercises) for a day. A learner's performance in a unit is considered as short term state. The performance in a series of units may change with patterns: progress, plateau, and decline. Long term state in a series of units is accumulatively computed based on short term states. In a learning/training program, it is necessary to apply different support strategies to adapt to different states of the learner. Adaptation in learning support is significant, because a learner loses his/her interests easily without adaptation. Systems with the adaptive support usually provide stimulators to a learner, and a learner can have a great motivation in learning at beginning. However, when the stimulators reach some levels, the learner may lose his/her motivation, because the long term state of the learner changes dynamically, which means a progress state may change to a plateau state or a decline state. In different long term learning states, different types of stimulators are needed. However, the stimulators and advice provided by the existing systems are monotonic without changeable support strategies. We propose a mutual adaptive support. The mutual adaptation means each of the system and the learner has their own states. On one hand, the system tries to change its state to adapt to the learner's state for providing adaptive support. On the other hand, the learner can change its performance following the advice given based on the state of the system. We create a ubiquitous pet (u-pet) as a metaphor of our system. A u-pet is always with the learner and encourage the leaner to start training at proper time and to do training smoothly. The u-pet can perform actions with the learner in training, change its own attributes based on the learner's attributes, and adjust its own learning rate by a learning function. The u-pet grasps the state of the learner and adopts different training support strategies to the learner's training based on the learner's short and long term states. Abstract: Embedded system technologies are undergoing dramatic change. Competent embedded system engineers are becoming a scarce resource in the industry. Given this, universities should revise their specialist education to meet industry demands. In this paper, a spirally tight-coupled step-by-step educational method, based on an analysis of industry requirements, is proposed. The learning process consists of multiple learning circles piled up in a spiral. Each learning circle consists of three steps: lecture, demo, and hands-on practice, which are tight-coupled to enable students to readily revisit essential knowledge. The circle currently being studied is directly based on the previous circle, so as to maintain a smooth learning curve. Since students can quickly see the result of their work, their motivation to learn remains high. Since a learning circle takes only a short period to complete, the core knowledge and skills can be repeated in different forms across the three types of educational step so that students can master them. The students' achievement and performance using the proposed method show that it can enable them to master the requisite knowledge and effectively transform this into skills. A C language learning support system has been developed based on the above idea, In AY2010, the system has been used in Open-lab events and public lectures. NPP(Nuclear Power Plant) operators are constantly taking skills development programs at training facilities. The Boiling Water Reactor Operator Training Center (BTC) is one of such a facility. Operators are trained in training rooms of BTC; each training room has a full-scope power plant simulator with mock-up control panels of the plant control room. Real time trainings are performed based on various kinds of training scenarios. All the training processes at BTC are recorded by a multi-media recording system. The recorded data includes event-logs (the changes on the power plant status) and video-log (video sequences of the training room taken by multiple cameras). Those data are utilized for the skill evaluation of the trainees such as checking the relation between power plant events trainee's actions. By now, the way of trainee skill evaluation is to read the event logs and watch the video log to check according to the training scenario. This costs a lot of time and manpower and cannot realize quantitative skill evaluation. Trainee's moving path in the training room. Trainee's action history and behavior such as pointing and calling. Trainee's face expression, direction of eyes and mental states. In AY2010, we had enhanced our experimental image processing system designed in AY2009, by applying particle filter algorithm to automatically detecting trainee's position inside the training room. The experiment results were summarized and submitted to two international conferences and one Journal. The goal of this research is to support the programming contest, not only for the contest players, but also for the spectators, especially providing services to the spectators; making them more exciting, giving them more enjoyment, so that they will have more interests in computer, programming, and our university. As the result, a programming contest management support system, PCSS, has been used in PC Kosien every year. New functions for contest progress control and automatically gathering score data were added to PCSS in AY2010. Members of our laboratory taught the following courses in AY2010. Two Ph.D students, 13 master students, 11 seniors was doing their research work in AY2010 in the laboratory, under the supervision of the professors in the lab. One doctor students, and 8 masters studentsd, and 10 seniors finished their theses in AY2010, and graduated, under the supervision of the professors in the laboratory. 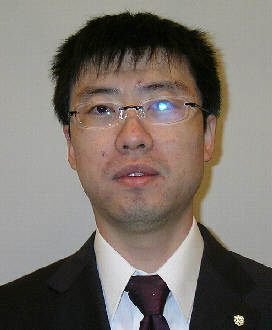 Professor Aiguo He gave a public lecture to high-school students and citizens in the Fukushima prefecture). Professor Zixue Cheng gave following 4 lectures to local citizens. Lei Jing, Zixue Cheng, and Tongjun Huang. A system for localising and searching objects to enhance self-directed practical learning. International Journal of Computational Science and Engineering, 5(2):167 173, 2010. We are living in an era of knowledge explosion. The meaning of knowing has shifted from being able to remember and repeat information to being able to find and use it. Practical learning has been proved as an effective way to arouse learner CT curiosity and deepen the understanding on a given subject. To perform practical learning more effectively,supervisors are necessary to recommend proper learning material and give instructions in the learning process. Up to now, however, human beings are the only candidate to act as supervisorsin the learning process which has hindered the learner CT practical learning activity. In this paper,we propose a computing system which can substitute human beings to act as supervisors to recommend proper experimental learning contents to the learner and help the learner to accomplish the experiment process. Xianzhi Ye, Lei Jing, Mizuo Kansen, Junbo Wang, Kaoru Ota, and Zixue Cheng. A Support Method with Changeable Training Strategies based on Mutual Adaptation between a Ubiquitous Pet and a Learner. IEICE Transactions on Information and Systems, E93-D(4):494-500, 2010. With the progress of ubiquitous technology, ubiquitous learning presents new opportunities to learners. Situations of a learner can be grasped through analyzing the learner's actions collected by sensors, RF-IDs, or cameras in order to provide support at proper time, proper place, and proper situation. Training for acquiring skills and enhancing physical abilities through exercise and experience in the real world is an important domain in u-learning. A training program may last for several days and has one or more training units (exercises) for a day. A learner's performance in a unit is considered as short term state. The performance in a series of units may change with patterns: progress, plateau, and decline. Long term state in a series of units is accumulatively computed based on short term states. In a learning/training program, it is necessary to apply different support strategies to adapt to different states of the learner. Adaptation in learning support is significant, because a learner loses his/her interests easily without adaptation. Systems with the adaptive support usually provide stimulators to a learner, and a learner can have a great motivation in learning at beginning. However, when the stimulators reach some levels, the learner may lose his/her motivation, because the long term state of the learner changes dynamically, which means a progress state may change to a plateau state or a decline state. In different long term learning states, different types of stimulators are needed. However, the stimulators and advice provided by the existing systems are monotonic without changeable support strategies. We propose a mutual adaptive support. The mutual adaptation means each of the system and the learner has their own states. On one hand, the system tries to change its state to adapt to the learner's state for providing adaptive support. On the other hand, the learner can change its performance following the advice given based on the state of the system. We create a ubiquitous pet (u-pet) as a metaphor of our system. A u-pet is always with the learner and encourage the leaner to start training at proper time and to do training smoothly. The u-pet can perform actions with the learner in training, change its own attributes based on the learner's attributes, and adjust its own learning rate by a learning function. The u-pet grasps the state of the learner and adopts different training support strategies to the learner's training based on the learner's short and long term states. Kaoru Ota, Mianxiong Dong, Wang Junbo, Hikaru Nihei, Lei Jing, Mizuo Kansen, and Zixue Cheng. A Courseware Platform of Dual Experience for Safety Education Utilizing both a Miniaturized World and a Computerized World. Journal of Japan e-Learning Association (JeLA), 10(2): 81-92, 2010. With the progress of ubiquitous computing technologies, ubiquitous learning is capable to give learners more effective and personalized education than the traditional one. On the other hand, safety education is necessary for children since accidents and crimes against them happen increasingly in recent years. The children might need to protect them by themselves. It is important for the children to learn safety knowledge through experiencing real dangers, which are not always realizable because it may hurt the children. In contrast, a virtual experience is possible and popular to educate the children such as using computers; however, only virtual experiences might be insufficient for children to practice what they learnt in the real world. Therefore we propose a novel approach by fusing a real world and virtual space to let a learner have dual experiences in both real and virtual worlds. We design a platform of dual experiencing learning and develop a safety education support system based on the platform. Finally, we verify effeteness of using the system through experimental results and the results are systematically analyzed with semantic differential and principle component analysis. Analyzed results shows dual-experiencing learning with our system is especially effective for a motive of self-learning finally. Junbo Wang, Zixue Cheng, Lei Jing, Kaoru Ota, and Mizuo Kansen. A Two-stage Composition Method for Danger-aware Services based on Context Similarity. IEICE Transactions on Information and Systems, E93-D(6):1521-1539, 2010. Context-aware systems detect user CTphysical and social contexts based on sensor networks, and provide services that adapt to the user accordingly. Representing, detecting, and managing the contexts are important issues in context-aware systems. Composition of contexts is a useful method for these works, since it can detect a context by automatically composing small pieces of information to discover service. Danger-aware services are a kind of context-aware services which need description of relations between a user and his/her surrounding objects and between users. However when applying the existing composition methods to danger-aware services, they show the following shortcomings that (1) they have not provided an explicit method for representing composition of multi-user!&contexts, (2) there is no flexible reasoning mechanism based on similarity of contexts, so that they can just provide services exactly following the predefined context reasoning rules. Therefore, in this paper, we propose a two-stage composition method based on context similarity to solve the above problems. The first stage is composition of the useful information to represent the context for a single user. The second stage is composition of multi-users!&contexts to provide services by considering the relation of users. Finally the danger degree of the detected context is computed by using context similarity between the detected context and the predefined context. Context is dynamically represented based on twostage composition rules and a Situation theory based Ontology, which combines the advantages of Ontology and Situation theory. We implement the system in an indoor ubiquitous environment, and evaluate the system through two experiments with the support of subjects. The experiment results show the method is effective, and the accuracy of danger detection is acceptable to a danger-aware system. Shigeru Kanemoto, Aiguo He, Takenobu Kazuma, and Shiyang Wang. OPERATOR TRACKING SYSTEM USING PARTICLE FILTER FOR OPERATION SKILL EVALUATION IN PLANT CONTROL ROOM. In Joseph Naser, editor, Proceedings of Seventh American Nuclear Society International Topical Meeting on Nuclear Plant Instrumentation, Control and Human-Machine Interface Technologies(NPIC&HMIT 2010), pages On CD ROM, Las Vegas, Nevada, November 2010. ANS, ANS. This paper proposes an automated operator tracking system using particle filter and image processing for helping operator skill evaluation in nuclear power plant operator training facilities. Here, a full-scope plant simulator with mock-up control panels is used for real time operator training based on various kinds of emergency accident scenarios, and, the operator behaviors are evaluated by instructors. The operator behaviors and plant events are recorded by a multi-media recording system as video- and event-log, and utilized for evaluating the validity of operator's actions in the review meetings between the instructors and trainees. Although multiple camera images are recorded for this purpose, the view from these cameras is not a so comfortable interface to evaluate how each operator approaches the target panel in appropriate timing corresponding to the plant event. So, the present paper tries to provide more comfortable interface by using up-to-date image processing technologies to help the instructors and the operators to check whether the operator position and timing is appropriate in each event or alarm occurrence. To attain this, we introduced the particle filter and the human image recognition technologies. The particle filter is used to model the operator dynamic behavior in 3D real world and to estimate his real position from noisy observation data. The automated human image recognition is also important technology to discriminate the target human image from the background images. The likelihood of target human image is evaluated by using image feature extraction and similarity calculation, and used in the particle filter re-sampling algorithm. Camera parameters used in the coordinate conversion between 2D images and 3D real world are identified by using mesh type markers set on the floor. The performance of the proposed automated tracking algorithms is verified by using an actual operator training environment in the BWR operator training center corporation. Filter for Operation Skill Evaluation in Plant Control Room. In Hidekazu YOSHIKAWA, editor, Proceedings of The 3rd International Symposium on Symbiotic Nuclear Power Systems for the 21st Century (ISSNP2010), On CDROM, Harbbin, China, August 2010. College of Nuclear Science and Technology, Harbin Engineering University. This paper proposes an automated operator tracking system using particle filter and image processing technology for helping operator skill evaluation in nuclear power plant operator training facilities. In each control room of the training facilities, a full-scope plant simulator with mock-up control panels is used for real time operator training based on training scenarios. Here, operator behaviors and plant events are recorded, as video-log and event-log, by a multi-media recording system, and utilized for evaluating operator's skills at training review meetings where the instructors and the trainees discuss each trainee's action in the training process. Multiple cameras mounted on the control room ceiling are used for the operator behavior recording. However, the view from these cameras is not a so comfortable interface in order to evaluate how each operator approaches the target panel in appropriate timing corresponding to the plant event. For example, the instructors have to estimate operator's real world position from the views; and in some case other operators might hide the target operator from the cameras. The purpose of the automated operator tracking system is to help the instructors and the operators to check whether the operator position and timing is appropriate in each event or alarm occurrence, by tracking the operators from the recorded video sequence. To attain this, we introduced art image processing technology. Particle filter is one of convenient algorithm for operator tracking. In this algorithm, the main issue is how to recognize the multiple target operators from the background image and get their positions in the coordinate of the control room. For this purpose, one 3D particle filter is used for each operator who wears a colored vest and the similarity calculation algorithm is based on the color histogram. The particles are directly placed inside the control room. By converting particle coordinate into camera coordinate and using the distance between the particle and the camera, the position and size of candidate regions on the video image for similarity calculation can be easily calculated. Camera parameters used in the coordinate conversion are identified by using mesh type markers set on the floor. The above approach is verified by using actual training environment in the BWR operator training center corporation facility. Y. Chen, J. Wang, Z. Cheng, L. Jing, and Y. Zhou. An Algorithm to Compute Similarity between Danger Objects Based on Ontology for Dangeraware Systems. In in the Proc. of the 2nd International Symposium on Aware Computing, pages 128-135, Taiwan, Nov. 2010. National Cheng Kung University, Technical co-sponsors:IEEE. Context awareness is one of the most important aspects in the current ubiquitous computing research field. Danger-aware system is a kind of context awareness system, which detects the dangerous situations and provides services responsive to the dangerous situation. However, there is a shortcoming in the current danger/context awareness systems that the reasoning mechanisms are not flexible. Without enough predefined contexts, the system cannot work well, e.g., if a detected context is similar to a predefined context, but not exactly same as the predefined one, the system cannot recognize it. There is a similarity computing method based on ontology, which detects the dangerous objects similar to the predefined ones. However the method only considers the taxonomy similarity but does not consider the feature similarity. Without considering the feature similarity, the similarity will not so precise even some objects are in the same category, i.e. the taxonomy similarity is high, but exactly they are not so similar since they have different features. To solve the above problems, we propose a two ontology based similarity computing algorithm, which considers both the taxonomy similarity and the feature similarity. Firstly, two kinds of ontology are built, i.e. an object ontology and a dangerous property ontology. Then, the taxonomy similarity between two objects is computed based on the object ontology, and the feature similarity is computed based on the dangerous property ontology. The similarity between a detected object and a predefined object is calculated by combining the two similarities together. Finally, the degree of danger of the detected object is calculated based on the similarity, and the corresponding services are provided to users according to the degree of danger. The algorithm is implemented in an indoor ubiquitous test bed. And an experiment was performed to evaluate the system. Results of the experiment show the algorithm is effective. K. Ota, M. Dong, J. Wang, S. Guo, Z. Cheng, and M. Guo. Dynamic Itinerary Planning for Mobile Agents with a Content-Specific Approach in Wireless Sensor Networks. In in the Proc. of IEEE VTC2010-Fall, 2010, Canada, pages 1-5, Canada, Oct. 2010. We study data fusion in sensor networks using mobile agents (MAs),which are capable to save energy of sensor nodes and to perform advanced computation functions based on the requests of various applications. Research on MAs remains problems in development of application-oriented data fusion, which is highly desired in environmental and disaster monitoring sensor networks deployed in recent days. In this paper, we propose a dynamic itinerary planning for MAs (DIPMA) to collect data from the sensor networks with an application-oriented approach. In particular, the DIPMA algorithm is applied to the data collection for frost prediction which is a real-world application in agriculture using next-generation sensor networks. The performance of the DIPMA is evaluated by simulations and the experimental results show that the total execution time of the MA can be reduced significantly with our approach while sound prediction accuracy is maintained. Takanobu Watanabe, Zixue Cheng, Mizuo Kansen, and Masayuki Hisada. A New Security Testing Method for Detecting Flash Vulnerabilities by Generating Test Patterns. In in proceeding of NBiS 2010, pages 469-474, Japan, Sep. 2010. Flash has a number of security defects even though Flash Player is installed on most of world PC. Protection using sandbox has limitation to protect a user from vulnerabilities of Flash application because an attacker can attack a vulnerable Flash application when a sandbox can work if an engineer or a web administrator set sandbox permission wrongly. Another way to solve it is testing. As a testing, penetration testing is useful for detecting vulnerability of Flash Application. Existing penetration testing performs penetration test through UI manually, which is inefficient and time consuming. In this paper, to overcome a problem of existing penetration test, we design a new penetration testing, which enables to generate as many test patterns as possible from VM inputs, inputting test patterns into VM, and checks the existence of vulnerabilities from VM outputs automatically. We demonstrate our testing method using an example, which can detect Flash Parameter Injection that is a one kind of vulnerability of Flash application. Zixue Cheng, Shengguo Sun, Mizuo Kansen, and Tongjun Huang. Learning Support Systems and Learning Support Methods, Patent No. 4579634, Sep 2010. Kaoru Yamagishi. Graduation Thesis: A Prototype System for Senior Citizens to Control Electric Appliances by Ubi-command Human Interface, School of Computer Science and Engineering, March 2011. Shingo Komoto. Graduation Thesis: Evaluation of the Conflict Resolution for Troublesome Context-aware Services based on the Game-theory, School of Computer Science and Engineering, March 2011. Kunitaka Endo. Graduation Thesis: An iPhone Application for Estimating the Personalized Discomfort Index Considering the Style of Clothing, School of Computer Science and Engineering, March 2011. Tomoaki Tamura. Master Thesis: A Dynamic Advertisement System based on Analyzing Potential Demands of the Users in Social Network Services, Graduate School of Computer Science and Engineering, March 2011. Hiroaki Kimura. Master Thesis: A Support Environment for Studying Safety Knowledge through Dual-Experience based on Synchronization of Real Senses and Virtual Senses, Graduate School of Computer Science and Engineering, March 2011. Yueting Li. Master Thesis: Ubiquitous Pets based Algorithms and Support Strategies Adapted to Every Learner in Group Training, Graduate School of Computer Science and Engineering, March 2011. Yongping Chen. Master Thesis: An Algorithm for Detecting Dangerous Objects by Computing Similarity between Objects based on Feature Ontology, Graduate School of Computer Science and Engineering, March 2011. Lv Ya. Master Thesis: A Support System for Stimulating Participants by Bonus based Method in an Open Brainstorming Network, Graduate School of Computer Science and Engineering, September 2010. Junbo Wang. Doctor Thesis: Effective Methods for Composition of Contexts to Provide Situation-Aware Services, Graduate School of Computer Science and Engineering, 2011. Hiroshi Oki. Master Thesis: A Support System for Collaborative Training by Using Multiple U-pets, Graduate School of Computer Science and Engineering, March 2011. Shaopeng Tan. Master Thesis: A Support System for Finding Solutions by Brainstorming based on Participants!&Evaluation and Feature of Ideas, Graduate School of Computer Science and Engineering, September 2010. Yuki Takai Graduation Thesis: A Danger-aware System for Preventing Children from Accidental Poisoning based on Image Processing and Sensor Technologies, School of Computer Science and Engineering, March 2011.